After literally a dozen years without a visit to the dentist (bad adolescent experiences!) I decided it was time to get my teeth professionally inspected. I found this place and was impressed by how nice they were... no pretentious gatekeeper, no snobby doctors. The 2 dentists there are very professional but also very friendly! It's actually a really good time when I go there. I've had fillings, 2 crowns and a bunch of regular cleanings now and it's been a good ride. I no longer have anxiety about dental work and I must say that the novocaine injections are literally near painless! When I had a tooth that needed a root canal, both dentists came to speak with me, inspect my tooth, discuss opinions and treated me and my case as if I was one of their family members. "The staff are very friendly and helpful. The wait time is short and they call you inside in just a few minutes of your arrival. Dr. Rizzo is great with the children and they are not scared of the dentist! Kathy the dental hygienist is efficient and thorough when she cleans your teeth. I have referred friends and co-workers before and will continue to do so!" "Dr. Rizzo had been my dentist for almost 17 yrs or so. Awesome guy and always informs me of what he's doing and always asking if I'm doing good during any procedure." I would refer this practice to friends and family. Thank you Spring View for taking good care of my teeth!" "Great people, especially Amber, and of course Luke!" "Excellent dental care! People are very pleasant and personable." "Dr. Rizzo has been my dentist for 20+ years. I live on the NW side of Chicago and the drive to South Elgin is approx. 60 miles round trip. I tried other dentists in my area, but they weren't nearly as good Dr. Rizzo." "I've been a patient here for a long time and I always have such a professional and happy experience! They really care about their patients. I'm always impressed with how personable they are. Highly recommend!!" "5 stars...Need I say anything else? Dr. Rizzo has been our dentist for 23 years. He is the best! The care and compassion you need will be found here." "Dr. Orals takes care of our whole family from Grama to when our kids were little. Very patient with all. Good staff there to take care of you!" "Best docs ever! Great with kids and super personable. Yes, yes and another yes. Very focused patient care and follow up. Really cares about their patients and will work with any payments. Old school good guys." "We have always had the best experience! Great with our kids! No tears, ever." "The best! Had a great experience, staff is knowledgeable and answered all my insurance questions. Doctors took the time to explain everything that needed to be done." 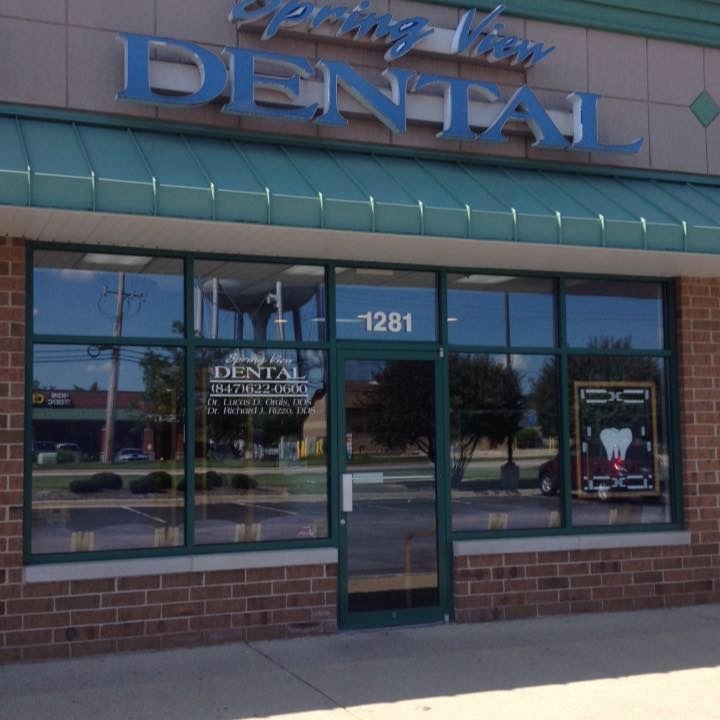 "Love Spring View Dental. Dr. Orals and the entire staff is wonderful."